Photographer Steve Rotman (better known online as funkandjazz) has just released his much anticipated book, Bay Area Graffiti. 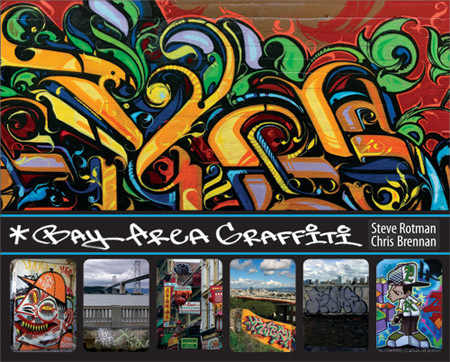 It’s the first book ever to document the San Francisco Bay Area’s vibrant graffiti scene. Steve’s been a good friend and contributor to Graffiti Archaeology for years now, and his work is consistently the best of the best. Get the book! You won’t be disappointed. If you’re local, there will be a book release party on February 6th, from 4 to 9pm, at 111 Minna, and on the walls will be artwork from a number of writers featured in the book. Don’t miss it!